This book came to my attention through one of my favorite podcasts - NPR's RadioLab. 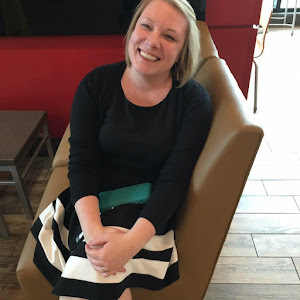 Back in July they aired an episode that was all about blood (click here to listen). The author, Scott Carney, focuses on ways the human body, its organs, its blood, even its hair, are bought and sold around the world. He spent five years conducting research and travelling around the world, looking into the "red market" trade. The stories range from the selling of organs for cash in third world countries to blood farms, including one where farmers were held against their will while their blood was harvested and sold, to children being kidnapped and sold to orphanages for American adoptions. I was predisposed to trust the author because I trust RadioLab, but I found his writing and journalism skills to be nothing less than what I'd expect. He has obviously done his research and put an enormous amount of time into investigating various claims from around the world. I was highly impressed. The writing is down to earth and easy to understand. I'd consider it to be more accessible than academic, although that shouldn't be interpreted as in any way discounting the author's obvious care in researching and reporting on the subject. It just means I found it a pleasure to read. As I mentioned above this is a fairly easy read, and, I thought, fascinating. I feel like I learned something new from every chapter - from the Indian trade in hair to modern day body snatchers. 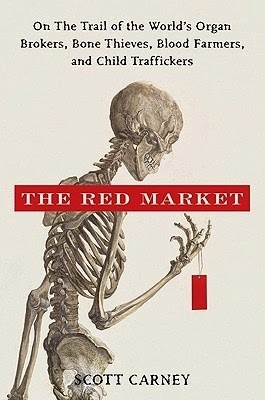 The "red market" as a concept was completely new to me, but I feel like I learned so much from reading this, which to me, makes for a very successful book. If you're into popular science, if you like Mary Roach, if you're a fan of the RadioLab podcast, or if you just want to learn some shocking truths about the purchase of bodies and body parts, this is a great book for you to read. Oooh fascinating and CREEPY/WEIRD. Right up my alley! haha.